Dani Johnson – The Truth About MLM Success – Coastal Travel – DFI – Freedom! I recently ran across this article that Dani Johnson wrote. 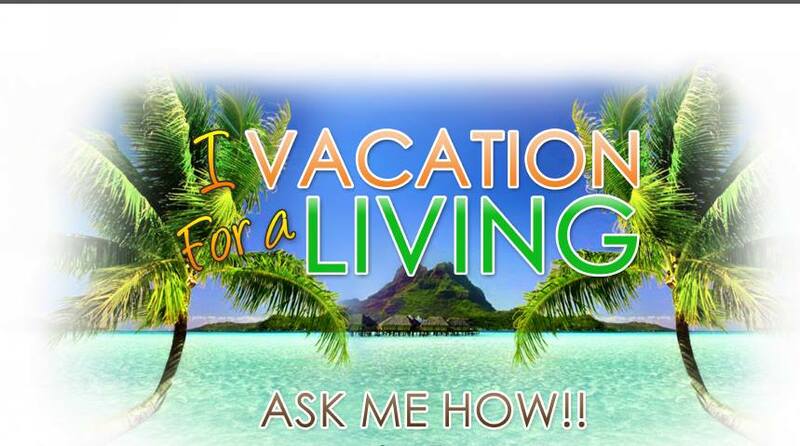 Dani Johnson is the only outside trainer we recommend in DFI Coastal Travel, based off of the results she has created. In Coastal Travel, DFI we may not be MLM but if you are responsible or benefit from other people’s success or efforts this is good. Do you want them their results to increase? What is the one thing most people miss when they are working with or training some one new? Some of you that market consumables like nutrition products are afraid to tell the new associate that they need to get on autoship. When it comes time to tell them the importance of being on auto ship we become afraid because we think they might quit. You must be strong on this because it is the cost of doing business. Could you imagine Steve Jobs not using a Mac computer? If the CEO does not use his own company’s product, the company will fail and so will we. If a new person tells you they want to earn a consistent professional level of income like 5, 10, or 20k per month, they need to know that won’t happen by chance. That’s going to happen by learning a job, mastering skills and consistently plugging in to stay on track so those skills continue to be mastered. 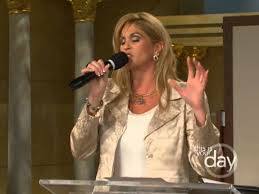 Dani Johnson is an author, speaker, trainer and founder of Call to Freedom International. She went from living out of her car with $2.03 to her name to earning her first million in two short years by the age of 23. Dani regularly consults, mentors, and coaches business owners, entrepreneurs, and career professionals on business, leadership development, personal achievement, marketing solutions, profit strategies, relationship marketing, and team development.From our entire team I definitely want to say thanks to Dani Johnson and her staff! I read this article by Dani Johnson (from DaniJohnson.com) and just had to share it with you. Enjoy!! This morning I want to visit with you about sales. Primarily, cookie sales. Earlier this month, Fox News picked up a story about 12-year-old Katie Francis shattering the 30-year record for selling the most Girl Scout cookies. The 6th grader sold 21,477 boxes of cookies in 8 weeks! For reference, the average Girl Scout sells 150-200 boxes each, so this statistic surpasses the norm by a huge margin! When asked how she sold so many boxes, Katie shared her 3 ingredients for selling cookies: Time, commitment and asking everyone she met. It’s clear this pre-teen knows something about business most adults don’t even know. The proof of that is in her results! The sad part is, most people will let their ego stop them from learning from this because it’s coming from a 12-year-old. You have to weigh your ego against your bank account. Want to Share that quote? Click to tweet. Increasing your sales is a basic and simple skill set most people don’t learn in school. What you might not realize is this skill set will help you in your job search, convince your family to vacation where you want along with so much more. Learn from someone with a proven track record and start seeing an increase in every area of your life. Seriously, it is so simple a 12-year-old understands it. You just have to be willing to set aside your ego and pick up a new skill set! A lot of people would argue there isn’t a skill set involved in selling cookies, but 2 hundred boxes versus 21 THOUSAND is more than just luck. The most common problem I see in small business is people never actually ask the closing question. Whether you are in direct sales, roofing, home decor or the food industry you are still selling a product or service. You can’t be afraid to ask for the sale! Here’s the thing I want you to realize about Katie. She had 1.5 million competitors. That is roughly how many other Girl Scouts were selling the exact same product at the same time. Competition is not an excuse! It takes a certain skill set to succeed. It wasn’t just time and commitment – she exposed her product and asked the question! She obviously had the skill of closing AND the mindset to not take ‘no’ personally. Imagine if Katie were making a profit off the boxes she sold. She moved $75K worth of product through her hands in an 8-week period. Imagine if that were you! And she did it all while being a “regular” 12-year-old and as a full-time student. So what can you learn from Katie? Maybe you are afraid of or offended when people say, “No.” Maybe you are the person who isn’t constantly exposing their product, resume or business to everyone they meet. Increasing sales is simple, but it isn’t always easy. It requires you to be able to set aside your ego and to learn from others who are obtaining that success. I hope this message brought you a little insight this Monday. Make sure to leave me your comments below and don’t forget to Like and Share. We’ll be here all week! Join us this afternoon and every weekday at 12 pm ET/11 am CT for The Dani Johnson Show.